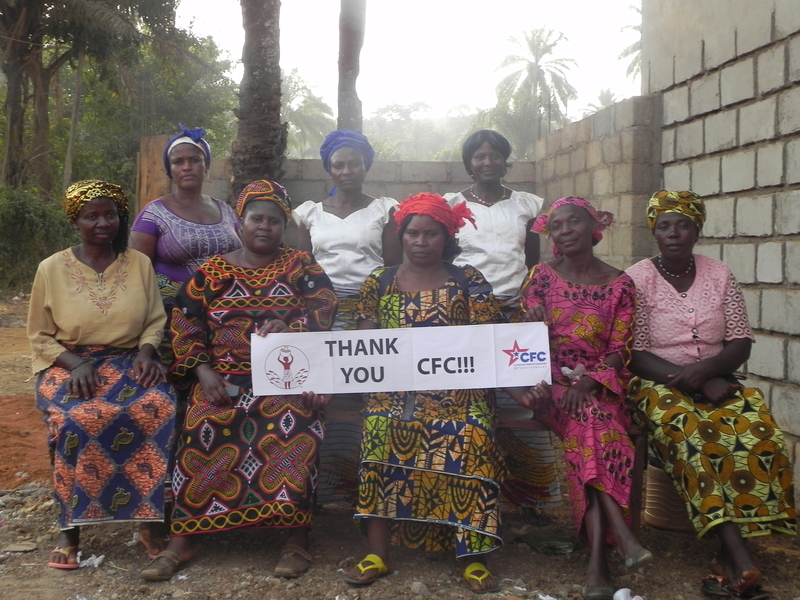 If you or your spouse is a federal employee and you wish to designate your gift to Bread and Water for Africa®, please designate CFC #10750 in this year’s Combined Federal Campaign. Thank you Federal Employees! The generous support from Combined Federal Campaign (CFC) donors over the past fifteen years is greatly appreciated by Bread and Water for Africa® and the thousands of African people on the long road to self-sufficiency. Important projects such as the construction of wells, schools, and clinics are now complete and operational because of your generous designations. We wish to express our sincere gratitude to everyone who designated Bread and Water for Africa® to receive their Combined Federal Campaign contributions. What is your administrative and fundraising expense percentage? For our Fiscal Year 2018, our administrative and fundraising percentage was 0.20%. What percentage of your funds go directly to programs? For Fiscal Year 2018, 99.80% of Bread and Water for Africa’s® funds went directly to programs. Does Bread and Water for Africa® provide relief or development assistance to African people? Bread and Water for Africa® is committed to long-term development. Our funding and support goes to programs that give people the opportunity to reach self-sufficiency, live in good health, and obtain an education. In rare circumstances where disasters occur near our existing program sites, Bread and Water for Africa® may respond to the needs with funding for relief efforts, but our overall mission is for sustainable development and not relief or temporary aid. For example, during the Ebola cries in Sierra Leone, Bread and Water for Africa® was a front runner to support our partner The Faith Healing Development Organization by providing Personal Protection Kits (PPE). Each PPE kit included a full-body Tyvek coverall, mask with visor, and latex gloves which kept the healthcare workers safe. These were people who were literally putting their own lives on the line to save Ebola patients from also acquiring the virus. In addition to the PPE, Bread and Water for Africa® granted $200,000 for emergency basic needs. How is your organization different from other organizations that work in Africa? We provide funding to local, qualified, and registered African organizations and work in partnership with these organizations to implement their community-accepted and locally appropriate ideas and programs. We provide support so that local people can y make the difference in their communities by solving problems, communicating, learning new techniques, sharing ideas, and leading by example to make positive changes. What is Bread and Water for Africa’s® CFC number? How do I get materials about your organization to distribute in my workplace? Just send us an email at info@africanrelief.org or call us at (703) 317-9440 and tell us how many Annual Reports, newsletters, calendars, or other promotional items you would like. Make sure to include the address you would like them shipped to, and the date by which you need them so that we can promptly send them your way! How can I represent Bread and Water for Africa® at a CFC event in my area? If you would like to represent Bread and Water for Africa® at a CFC event in your workplace or area, please send us an email, info@africanrelief.org. Let us know the date of the event for which you need our materials and the address where you would like to receive our informational brochures and promotional materials. We will also send you a Frequently Asked Questions brochure about Bread and Water for Africa® so you can easily answer any questions that federal employees may have about our organization. How do I change my address currently on file if I move? Just send us an email, info@africanrelief.org and we will update your address. How will my name and donor information be used by your organization? OPM/CFC campaign acceptance guidelines require that organizations receiving contributions from federal employees through the CFC not rent, sell or exchange these names. Bread and Water for Africa® fully complies with this guideline and CFC donor names are never sold, rented or exchanged.